Built in 1957, 700 Delaware is located among several of Buffalo’s landmark mansions, just minutes from Buffalo’s Central Business District. The 3-story office building enjoys excellent visibility along Delaware Avenue, one of the City’s most heavily traveled thoroughfares. 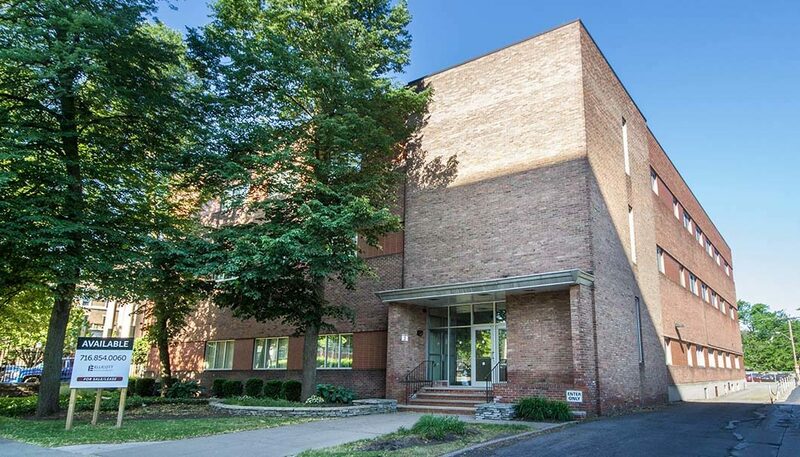 The brick facade and beautifully landscaped grounds help establish the building’s prominence in this beautiful stretch of Delaware Avenue. Tenants and clients enjoy a total of approximately 79 off-street parking spaces at the rear of the building and directly across the street. The building is ideal office space but would also be an exciting opportunity for a residential reuse project. The space includes break areas, open spaces and a dedicated IT room.